This was certainly not the first time such a plea had been issued. Many Conservative Jewish leaders have, in their various roles, called for lucid and communicable definition. Some earlier advocates included Rabbi David Lieber who, in the Fall of 1978, wrote in this journal that “a clear and persuasive definition of Conservative Judaism is needed, not alone to distinguish it from Orthodoxy and Reform …but to project the ideal to which Conservativism aspires. (“Staking out the Conservative Position”, CJ XXXII:1). Rabbi David Gordis wrote in a following issue that “the time has come to risk articulating a more forthright position [despite] the risk of losing adherents. (“Communicating Conservative Judaism”, CJ XXXII:3)” Even Emet V’Emunah, our Movement’s 1988 Statement of Principles, was written with a similar goal. Yet 20 plus years later, as we struggle with a perceived directionlessness, Gillman’s cri de coeur carries even more urgency. Gillman’s influence on several generations of Conservative Jews has seeded the ground for a renewed focus on the “why.” If God is to be found within the ‘four cubits’ of Conservative Jewish Halakha, we must pledge to make sure our understanding of God is part of the demarcation of parameters. 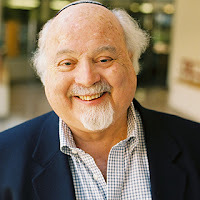 This essay is an offering of admiration and gratitude to Rabbi Gillman for this gift he has given me and countless others through his teaching and example. The religious vision of the Conservative Movement is much simpler than we who speak in its name typically let on, and the oft‐invoked search for movemental definition is more aptly defined as the desire on the part of Movement’s institutional leadership to intensify the experience and appeal of Conservative Judaism without alienating those who currently affiliate. Early (American) Conservative Jewish leaders were loathe to wear a denominational label that would publicly acknowledge their break with the Orthodoxy of their youth. We today are vigilant about not pushing anyone away, not only because it would threaten institutional infrastructure, but because it would also limit the width of our tent. As Rabbi Bradley Shavit Artson has put it, “If we can only be a Movement with those who think, talk, and practice precisely as we do, then what hope is there for embracing the entire Jewish people, let alone all humanity?” (USCJ Review, Fall/Winter 2006). But is this truly our hope? Is the religious vision of Conservative Judaism to embrace the entire Jewish people? Or perhaps even all humanity? The Halakha instructs us that the Shema may only be read when we can tell each other apart. For only by recognizing what is unique about myself, what distinguishes me from my beloved friends, and my friends from one another, can we come together with integrity as individuals and also as a collective. Only when we recognize this uniqueness within our unity can we begin to encourage one another to comprehend the message of oneness that is in the Shema. Internal self‐affirmation from within the Conservative Movement has rarely been successfully navigated (with notable exceptions, including the commitment of Rabbi Robert Gordis, whose crucial essay “The Struggle for Self‐Definition within Conservative Judaism” (CJ XXXIX:3) should be required reading for every thirsty Conservative Jew and would significantly help the emerging revitalization of Conservative Jewish life). "Tradition and Change," once thought to be the unique trademark of the Conservative Movement, rings unremarkable in a virtual sea of contemporary creative Jewish tension. Who doesn't see themselves as connected to both past and future? Schechter's "Catholic Israel" calls out for explanation to even the most engaged Conservative Jew. Does it mean, as Mordecai Kaplan taught, that Judaism is whatever Jews say Judaism is? Does Robert Gordis' reformulation of Kaplan, restricting the authority for redefining Judaism to "the engaged", resonate? Might it be legitimate once more to look to Conservative Jews to dream collaboratively and articulate this yearned‐for authentic communal identity? Somewhere in the liminal network between these various claims, where Rabbi Neil Gillman will be (for me) always sitting at his desk illuminating every sacred fragment, emerge the following thoughts, which I submit as a response to my teacher's call for an honest theological vision for the Conservative Movement. At the core of Conservative Judaism is the belief that in every generation, the legitimate structuring element of organized religion—in this case, Halakha—is the product of collective covenantal negotiations that have taken place since the birth of the Torah itself. Halakha is part of our language. Holiness is its partner. The Conservative Movement, in its relationship to Halakha, much like the cherubs, must be identified and identifiable with the very material that birthed it, stretching both toward each other and toward the world beyond, using our wings to both protect the core of our tradition and the nexus of emerging holiness. But like the revelation brought about by the priest rolling back the curtain, we are shown that change does not take place in Conservative Judaism just because it can. Change takes place because it is necessary and the embrace of change is an act of sacred love. Announcing the Publication of #IntenseBeginnings! Deep thanks to Dahlia Lithwick and Jane Taubenfeld Cohen for their humbling blurbs (pasted below) and to my very precious Ariel Creditor for the cover artwork! Intense Beginnings is a collection of essays on Spirituality, Israel, Jewish History, and Justice that poured out during an especially tumultuous year of my life. Rereading them, I have found myself transported back into moments I wish had never been, knowing that these crucible encounters also opened my eyes and transformed my life for the better. They were each, in a very real sense, intense beginnings. Those essential moments sparked these words and have added great meaning to my in-process, examined life. [#BuildOnLove NewsLetter] Mitzvah Opportunity, New Book, Essays, Videos, and Special Pricing for other Titles! But on this Veterans Day, where we share gratitude for servicewomen and servicemen - like my amazing sister, Navy Chaplain Rabbi Yonina Creditor - who give and give on behalf and in defense of our nation, I especially want to tell you about some work in which I’ve been involved these past months, during which I joined the board of the One America Movement. It’s a remarkable movement – bringing people together across religious, racial, cultural and political divides to participate together in community service projects, and a shared meal and conversation. It started soon after the 2016 election, when a group of faith leaders sat down and mapped out a different vision for the country. We talked about how to bridge the growing divisions in our society, how to address the growing isolation we feel from each other, the “bubbles” we increasingly find ourselves living in. We dreamed about how to build a movement for a better way of treating each other — and how to begin by living out the values behind that movement. The end result was this organization, the One America Movement, led by a colleague and friend I have come to admire enormously – Andy Hanauer. I encourage you to read his piece from last May “Isolation Won’t Save Us” which you can see here. I'm also writing to ask if you’d consider contributing. I’m passionate about this work – I wouldn’t have joined the board if I didn’t believe fervently in its importance and that it can make a difference in our national life. Please consider donating here. Chevreh, we are living in a deep, transformational moment. I myself am exploring new ways in which I can offer my gifts in the world, a world in such need of the love we each have to offer. Just this past week, I stood side by side, heart to heart, with the sublime Neshama Carlebach and other amazingly talented and passionate Jewish musicians and poured out my song, Olam Chesed Yibaneh, with an audience whose shared singing and deep hope lifted my heart higher than it's ever been before. You can witness that holy moment by clicking here. (The whole concert was ecstatic, and Olam begins at 2 hours, 9 minutes.) I share this experience not only because of the exquisite love of that moment, but also because we all deserve the hope and inspiration that moment offered. If we hold each other right and well, if we build this world from love, then hope and inspiration will flow ever stronger in your own heart. And, in this way, I believe with all of me, we can change the whole world for the better. We must. And we will. See below for some of titles available at reduced prices and some new essays/videos! Parashat VaYera: Which Fire Will it Be? so that our hearts break appropriately. How much blood must be spilled by guns in America before we remember stand for life? Before we are brave enough to do the right thing? We will not become numb. Faith demands we do not stand idly by. We will not become paralyzed. We cannot. It is not allowed. Not when there are lives to save. Your Images, torn and bloodied, God. and needless deaths will be our fault. Help us save each other, Dear God.